California's diverse geography ranges from the Pacific Coast in the west, to the Sierra Nevada in the east – from the Redwood–Douglas-fir forests of the northwest, to the Mojave Desert areas in the southeast. The center of the state is dominated by the Central Valley, a major agricultural area. California contains both the highest and lowest points in the contiguous United States (Mount Whitney and Death Valley), and has the 3rd longest coastline of all states (after Alaska and Florida). 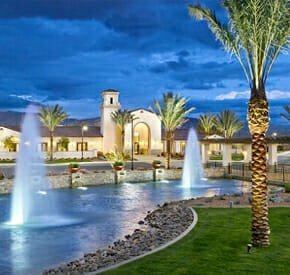 We offer information and access to many wonderful California gated retirement communities that offer an abundance of world-class amenities. If you aren’t quite ready for retirement, maybe you are looking for a second home–a vacation spot where you can get away and relax. 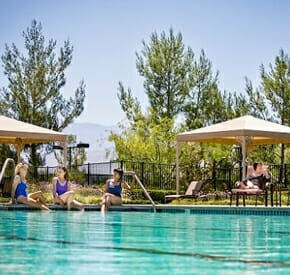 You can find plenty of those types of CA resort communities as well. We have information on California coastal communities, California golf communities and California gated communities. 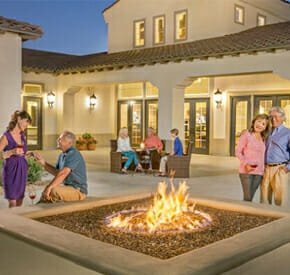 From vacation resorts to California 55 + communities to California active adult communities, you can find it all in our community listings below. Information at your finger tips! 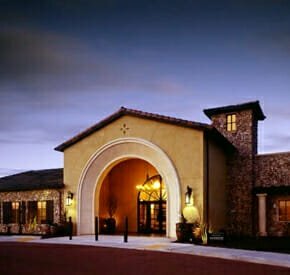 Explore California Gated Communities and find golf resorts, single family homes, retirement homes, golf course communities and mountains communities. Which one is right for you? Fine your ideal-LIVING communities! Retirement property is what you've searching for. Take time to make sure the right private communities suites you. Don’t be shy! Request information for as many California vacation and gated communities as you’d like. There is no limit.